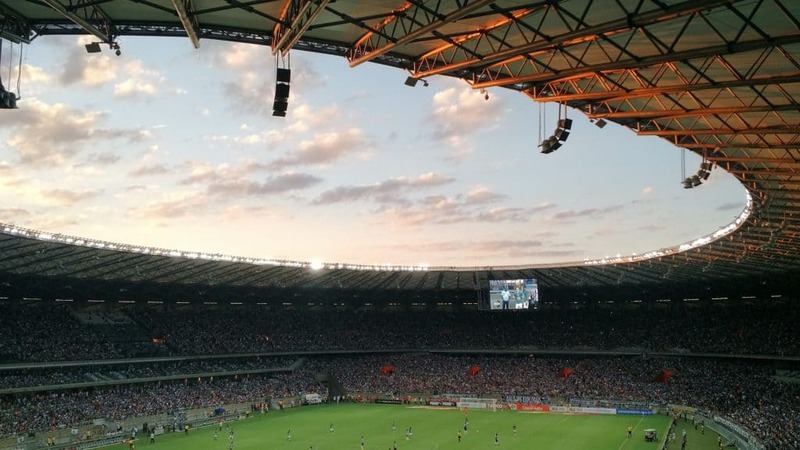 The FIFA World Cup 2018 takes place in Russia and will be the most publicized sporting event of the year, so you’ll have plenty of choice as to how you watch it. In this article, we’ll be explaining how to watch the 2018 World Cup online using the BBC iPlayer, ITV Hub, and various similar streaming platforms. We’ll also explain how to use a Virtual Private Network (VPN), so you can access your chosen platform regardless of whether you’re at home or abroad. While it is possible to watch a world cup live stream free, we’re only going to be discussing official sources for watching the World Cup. While third-party streams will be available, these lack the resources and permissions required to keep a high-profile stream running. The 2018 World Cup can be viewed online in HD for free anyway, so there’s no benefit to using unofficial streams. Streaming platforms almost always restrict their audience to viewers from a specific country or region. 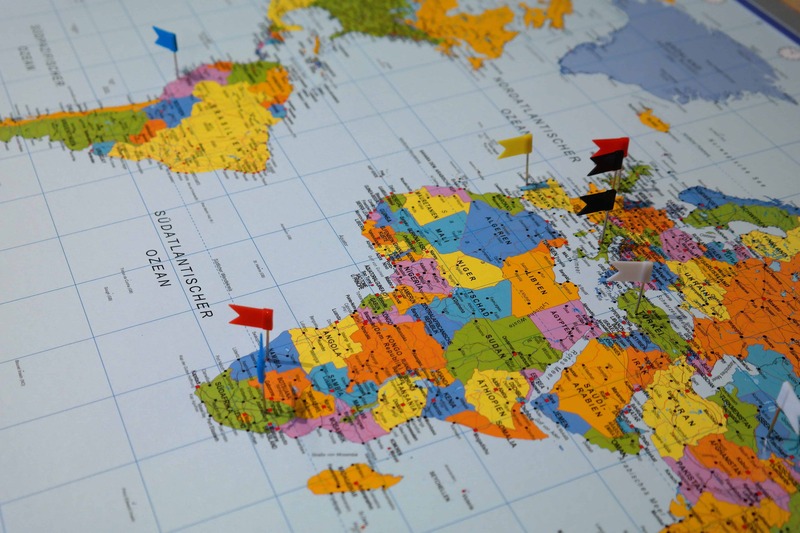 However, VPNs allow you to connect to servers in different countries, which can trick a website into believing you’re actually located somewhere else. All you have to do is connect to a server in the correct country: for instance, a British server will unblock ITV Hub or BBC iPlayer while a US server can unblock FOX Sports. We recommend using ExpressVPN. It boasts a vast network, with all servers fast enough to stream live, HD video without any noticeable lag. This service doesn’t log any of your activities and comes with robust security features to keep your data secure and private at all times. Live chat is available 24/7 to help resolve any issues you might encounter. Registering with ExpressVPN is easy and only takes a minute. Decide on a subscription length (1 month, 6 months, or a year), and complete the payment process. ExpressVPN includes a 30-day money-back guarantee, meaning you can catch most of the 2018 World Cup before committing to the service. If you’re unsatisfied, you can always cancel it during the trial period to receive a full refund. 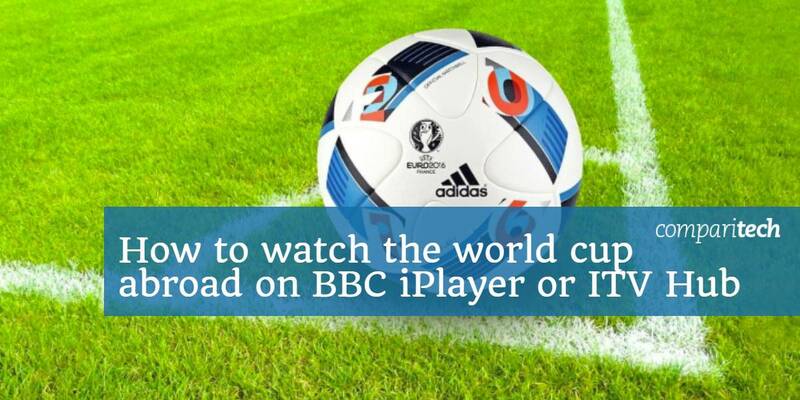 BEST VPN FOR STREAMING THE WORLD CUP on BBC or ITV when abroad:ExpressVPN is our #1 Choice. With a vast server network that is optimized for high-speed connections, it’s perfect for watching the World Cup. User-friendly apps for all operating systems. Hard to beat on privacy and security. There is a 30-day money-back guarantee so you can try it risk-free. First, decide on which VPN you’d like to use. We’ve touched upon ExpressVPN already, but NordVPN and CyberGhost are both strong low-cost options. Go to the VPN’s website and sign up. Install the correct version of the VPN client for your operating system. Choose a streaming source from the list below. Connect to one of your VPN’s servers in the appropriate location. Try loading the live stream. The video should now play without any issues. What channel is the FIFA World Cup on? So how can you actually watch the World Cup? Well, if you’re looking for English commentary, there are three main sources: BBC iPlayer, ITV Hub, and FOX Sports. BBC iPlayer hosts a wide selection of on-demand content, as well as 24/7 live streams of its ten main TV channels. The BBC will be the exclusive provider of at least 25 World Cup games in the UK, all of which will be shown on BBC One. Each of these games will be available in HD, with subtitles available. It should be noted that while the iPlayer allows you to change language, this only impacts the user interface, not the videos themselves. In case you’d prefer to watch via a home media center, there is an official Kodi addon for this streaming service. ITV have the rights to broadcast around half (23 confirmed, more to be added as the tournament progresses) of the World Cup 2018 matches. This means you can watch every game using a combination of ITV Hub and BBC iPlayer. While the ITV television channel offers the option of subtitles, the ITV Hub online streaming service does not. It’s worth noting that although most games will be shown on the ITV channel, some are ITV4-exclusive. This is important because Scottish users will be redirected to the STV Hub, which doesn’t offer an ITV4 stream. As such, you’ll have to make sure you connect to a server in England or Wales. Each game will be available in HD on FS1 and FOX, and via the FOX Sports online service. There are several ways to gain access: first, check if FOX Sports is included in your current cable or Sling TV package. If so, you can watch at no additional cost. Otherwise, you can get the FOXSoccerMatchPass for $19.99 a month. This pass comes with a seven-day trial so if you aren’t satisfied, you can cancel before you’re charged. beIN Sports Connect: Showing every game; subscriptions start at €14 a month. TF1: Showing 28 out of 64 games; free of charge. ZDF: Showing every game; free of charge. ARD: Showing every game; free of charge. Sky Sports: Showing each game in 4K; subscription is €29.99 per month. SIC: Showing eight of 64 games; free of charge. RTP: Showing eight out of 64 games; free of charge. Sport TV: Showing every game; subscriptions start at €9.99 a month. Telecinco: Showing all games for free. Cuatro: Showing every game, free of charge. Telemundo Deportes: Showing all games; cable login required. NBC Sports: Showing all games; subscription is required but there’s no pricing information available yet. Can I watch the World Cup on mobile devices? Most popular streaming platforms offer mobile apps for Android and iOS. All of the sources above have apps available, although they might not have all the functionality of their web player counterparts. For instance, subtitles may not be available, or they might not have the option to switch the interface language. Can I register for/use foreign streaming services while abroad? Some streaming platforms allow you to register from anywhere but will prevent you from actually watching anything if you’re located outside of the broadcast region. Others restrict their content libraries depending on where you’re located. These problems are easily resolved with a VPN. However, some services use additional region-locking measures to prevent foreign users from signing up. For example, you may be asked for a local address or phone number. You might find that the payment methods are required to be registered in the specified country. Without a native friend or relative willing to help, these services are essentially inaccessible to foreigners. When does the FIFA World Cup 2018 start and end? The 2018 World Cup starts Thursday, June 14th at 11AM EDT and ends on July 15th. The only match on this day is between the host country Russia, and Saudi Arabia. Afterward, there will be three or four games every day until the group stage is complete, at which point the frequency of matches will decrease. The details of some matches (teams, broadcast networks, and so on) have yet to be decided. You can stay up-to-date with fixtures by visiting the official World Cup schedule page. Comparitech does not condone or encourage any copyright violation, including streaming video from pirated sources. 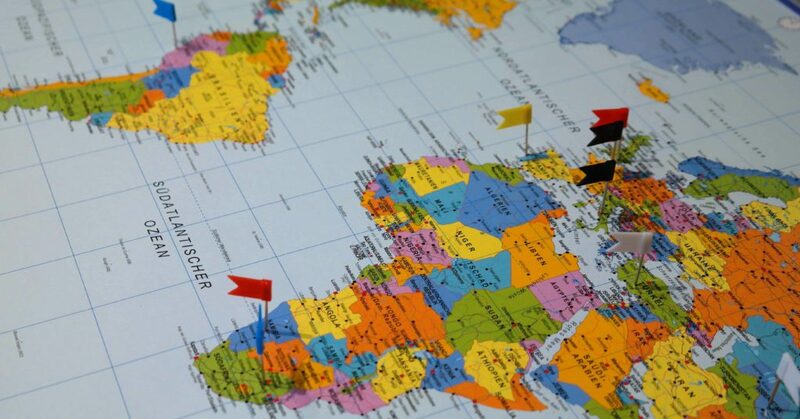 Although VPNs can skirt geographical restrictions and mask the user’s identity, please consider the local laws, victims, and risks of piracy before downloading or streaming copyrighted material without permission.